Our slimmest style feels like a second skin. 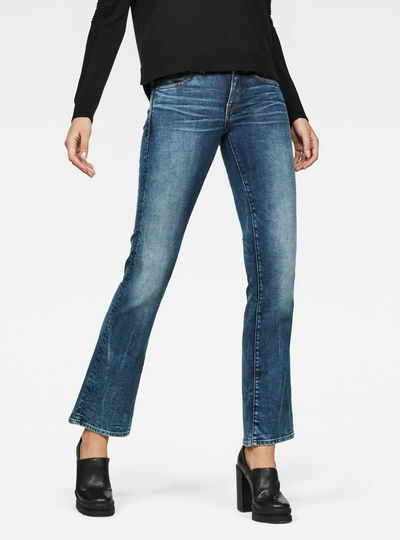 We use Ultimate Stretch Denim to give you full movement in super tight legs and a narrow leg opening. Our skinny jeans are feminine and flattering. There’s more room to move than the Super Skinny jeans, but without losing any skinny style. Our 3D-designs go a step further than standard jean designs. Based on the anatomy of the human body and our knowledge of denim, we've designed trousers that follow the shape of your body. We do this by placing seams in different places or by creating extra room through enclosed pieces of fabric. G-Star RAW has been a leader in this field since 1996. Read all about this special 3D technique and our jeans in "Denim World". 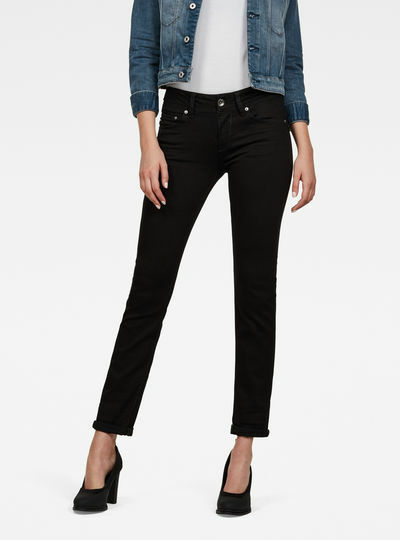 A fitted waistband and straight legs create a versatile pair of jeans that provide a classic look and comfortable fit. The boyfriend fit is a casual look that looks like it belongs to him but has actually been tailored for her. A menswear‑inspired, yet feminine, fit. 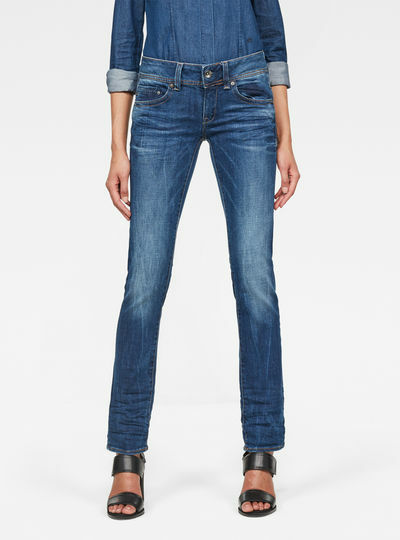 In the G-Star RAW Online store you’ll find a wide assortment of women’s jeans. 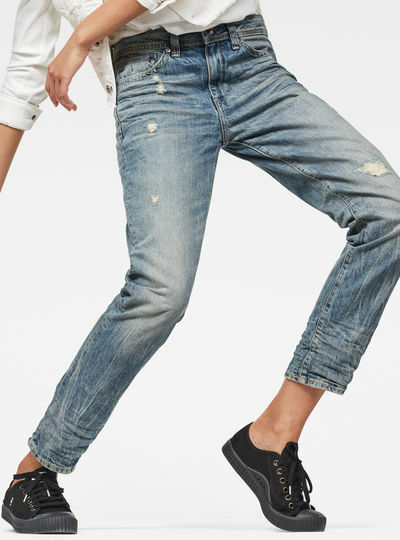 Making use of innovative design and denim fabrics G-Star RAW has produced a collection of womens jeans that provides a distinctive look for every woman. Ranging from classic styles like the 3301 to modern skinny jeans for women our collection offers the perfect pair of jeans for every woman’s wardrobe. Complete your look with a classy shiny blouse or a casual basic t-shirt! G-Star RAW jeans can be worn in practically any style. Select a darker finish like Raw Denim or Dark Aged for an elegant look that works for both formal and informal settings. Or go for a more worn-down look with one of our rougher finishes like Destroy and Vintage Worn In. Apart from designing the best jeans for women in a variety of shades we’ve also got a number of different fits and shapes for you in stock. Picking your new pair of jeans has never been so easy. We have the perfect women jeans fit to suit each preference. For a straight fit choose a Straight or Bootcut women’s jeans. Looking for a tight pair of jeans? The Skinny and Super Skinny fit are your best pick. The Wide Boyfriend and Relaxed jeans are our loose women jeans fits. An advantage of ordering your jeans in the G-Star RAW Online store is that you could be wearing them within days. Pick your favorite pair of women’s jeans and have it delivered to your home for free. Order today and enjoy same-day dispatch on weekdays.